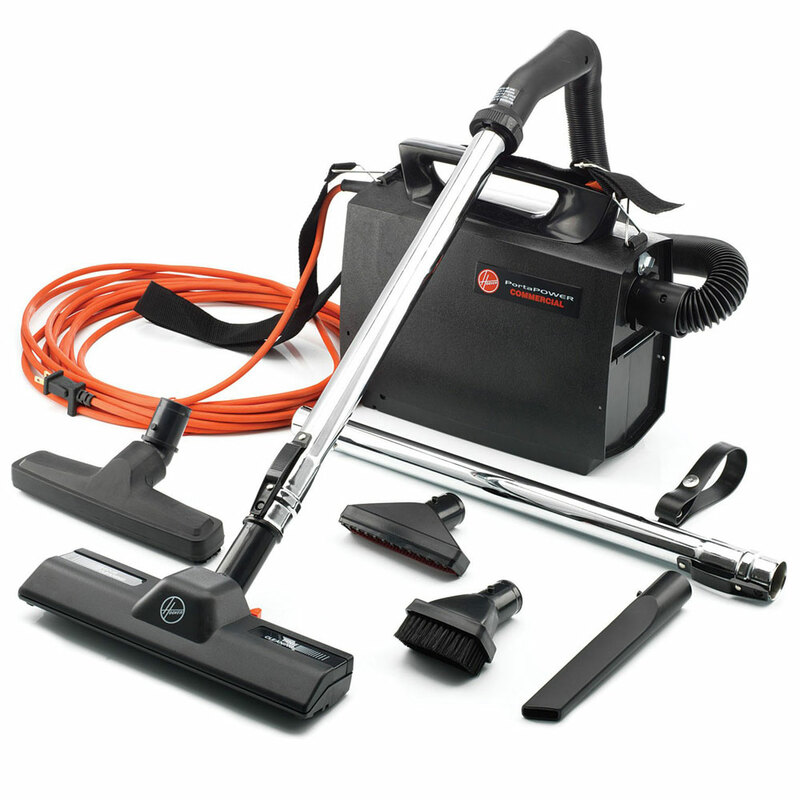 Lightweight vacuum has plenty of power for dirt pick up or to use as a blower. Shoulder strap attachment allows you to carry the lightweight 8.3 lb. cleaner while vacuuming. Super-stretch reinforced vinyl hose and 33 foot cord provide extra reach. Attachments include crevice tool, wall/floor brush, dusting brush, furniture nozzle and 2 piece chrome wand set. Reusable 3-layer commercial cloth bag with paper bag option. 7.4 amp Vacuum has blower feature. OSHA approved. Additional bags sold separately, search item 9852.